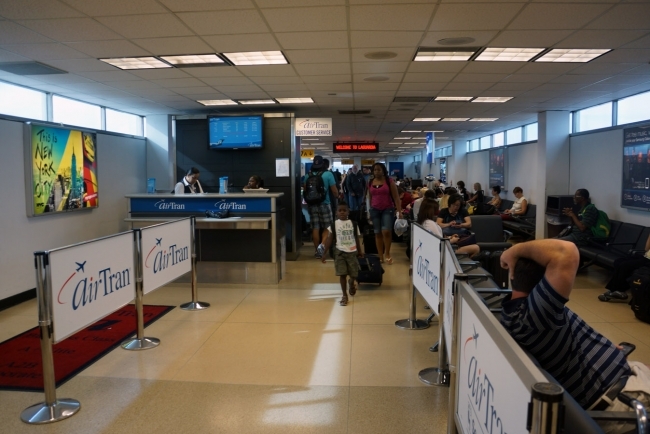 LaGuardia Airport….is it worth even saving? Governor Cuomo has announced a $4 billion dollar plan to tear down and rebuild LaGuardia Airport, which Vice President Biden infamously (and accurately) described recently as a third world airport. Allegedly the whole project is going to be completed in 5-6 years, which ask any New Yorker how that Second Avenue subway is coming along, will tell you really means 15-16 years. Saw an interesting interview on Bloomberg this week with an “expert” who basically made the point that this is a waste of money, LaGuardia should just be decommissioned and JFK and Newark should be expanded. Personally I think if you can actually get to LaGuardia without sitting in traffic It’s a far easier airport to get to than JFK or Newark, it just happens to be a dump. What do you guys think? LaGuardia, keep it or close it? Previous Previous post: Delta upgrades Skymiles members to private jets….